My Cultural Landscape: What Fresh Hell Is This? This has not been a good year for the peace process (whether one considers Vladimir Putin's aggressive actions against the Ukraine or the most recent flareup of tensions between Israel and Palestine), In an extended interview on The Daily Show with Jon Stewart, former First Lady, United States Senator, and Secretary of State Hillary Clinton offered some fascinating insights into the numerous factors preventing peace in the Middle East. Wherever war rules the land and people operate on the principle that "the enemy of my enemy is my friend," there's bound to be trouble. Two new dramas offer stark and disturbing depictions of specific flavors of hell on earth that crush the soul and, on occasion, tear the body to shreds. Whether above ground or below, whether the battle is fought with guns and bombs or fear and manipulation, there are no winners. One of the more provocative entries screened at the 2014 San Francisco International Film Festival was an Estonian drama entitled Tangerines. Written and directed by Zaza Urushadze, the action takes place in a rural corner of Abkhazia in 1992 where the local Estonians are struggling to break free from Georgia. 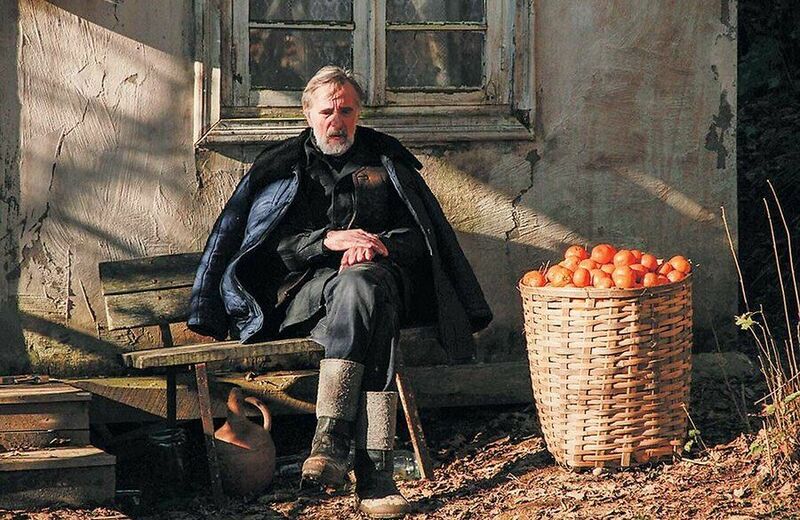 Although most of their friends have fled to safety, Ivo (Lembit Ulfsak) and Margus (Elmo Nüganen) have remained behind to harvest their sizable crop of tangerines. Ivo keeps himself busy making wooden crates for the tangerines but his peace is soon disrupted by a military clash between Georgians and some North Caucasians who are backed by Russian forces. 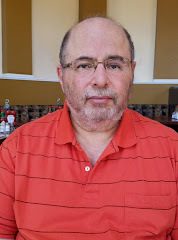 At first, Ahmed (Giorgi Nakashidze) seems to be the sole survivor of the shootout. A Chechen mercenary determined to kill any Georgian who crosses his path, he is carried back to shelter by Ivo and Margus. Once inside Ivo's home, he is bandaged and allowed to sleep. However, as Ivo and Margus work to bury the dead, they discover a severely wounded Georgian and bring him back to Ivo's house. As soon as Ahmed is well enough to realize that one of his enemies is under the same roof, he swears to kill Nika (Misha Meskhi) as soon as he gets a chance. Ivo quickly makes Ahmed swear that no harm will come to the other injured soldier while the two men recuperate in his home. Despite Ahmed's threats to kill Nika if he so much as steps outside the house, as Ivo and Margus nurse the two wounded men back to health, all four men begin to bond in a way that transcends their personal prejudices and the enmity of war. Unfortunately, their healing is short-lived, climaxing in a senseless tragedy which makes Margus's tangerine harvest an exercise in futility. The program for Dracula Inquest contains a curious quote from Bram Stoker: "I sometimes think we must all be mad and that we shall wake to sanity in straight-waistcoats." 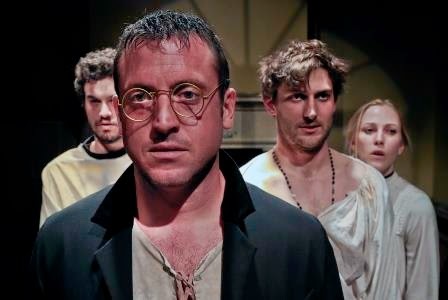 If one uses this statement as the basis for the thrilling two-hour mixture of melodrama and terror-drama provided by Central Works in their latest "organic" creation, one comes up with a horrifically intense theatrical event that is all too rare. "Bram Stoker didn't invent he legend of monstrous blood-sucking creatures, the 'Un-dead' who live, eternally, off the blood of their victims. But he perhaps did more than anyone else to popularize the idea with his remarkable novel -- and its archetypal title character -- Dracula. Reading the book for the first time last year, I was struck by its fascinating, post-modern (ahead of its time) structure, the fragmented narrative voice that moves from one character's perspective on the story to the next, and by its wonderful Victorian language. I wanted to find a way to put as much of Stoker's marvelous dialog in the book directly into the play. And I wanted to try and come at the myth as a skeptic, to change everything the book asks us to accept. Is Stoker's Dracula a code for something else? Is it a Freudian projection of repressed sexual fantasies? Is it a xenophobic tract warning of the corrupting influence of foreigners from the East? What is hiding, lurking beneath the pages of Stoker's horror masterpiece?" In an era when film and television have been overrun by hunky vampires ranging from Tom Cruise, Brad Pitt, and Antonio Banderas (in 1994's Interview With A Vampire: The Vampire Chronicles) to Robert Pattinson's portrayal of Edward Cullen (in the Twilight series of vampire films), perhaps the greatest challenge is to scare the bejesus out of an audience without ever letting them actually see a vampire. It takes an exceptional level of skill to make this happen in a 50-seat theatre with three-quarter round seating. Thankfully, the artistic team at Central Works has an abundance of tricks up their sleeves, ranging from the brilliantly theatrical writing of Gary Graves to the other-worldly sound design by his long-time collaborator, Gregory Scharpen. Under Jan Zvaifler's astute direction, the final 15 minutes of the world premiere production of Dracula Inquest will leave terrified members of the audience wishing they reeked of garlic. The ensemble that worked to create this production features several veterans of the Central Works process working side-by-side with newcomers. 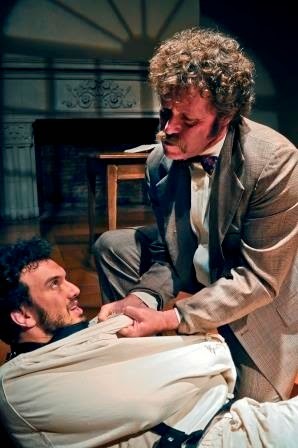 Doubling as Dr. Seward (the founder and administrator of the mental asylum) and his patient, R. M. Renfield, Kenny Toll spends the entire performance strapped into a straightjacket and leather harness. 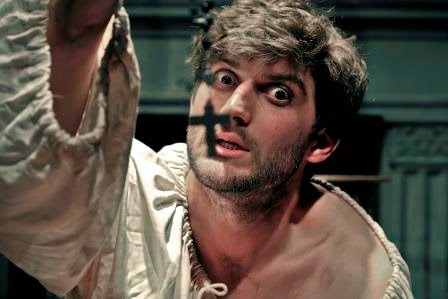 As Jonathan Harker, Joshua Schell's entrance leads into a stunning 20-minute monologue which takes the audience on an eerie visit to Transylvania. As Harker's ex-wife, Mina, Megan Trout goes from a repressed woman to a raging banshee having an out-of-body experience. As Dr. Abraham von Helsing, Joe Estlack burns with an intensity that comes from knowing too much too late. As Detective Sly (the only member of the cast who gets to wear shoes), John Flanagan is determined to remain in control of the inmates he is questioning (until the gates of hell open wide and he realizes that it's too late for any such foolishness). 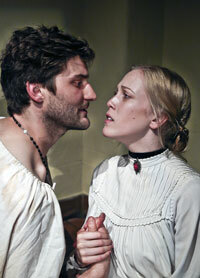 Performances of Dracula Inquest continue at the Berkeley City Club through August 17 (click here to order tickets). Whether you crave good theatre, have an unhealthy interest in vampires, or simply like to get scared shitless, this production is about as good as it gets!